Hamirpur was named after the Katoch king Raja Hamir Chanda, and was carved out of the Kangra District. Due to its pleasant climate especially during the winters, Hamirpur is a popular tourist destination. The town also has the highest density of roads and is thus one of the most accessible areas of Himachal Pradesh. Here’s a list of the various tourist attractions in Hamirpur. 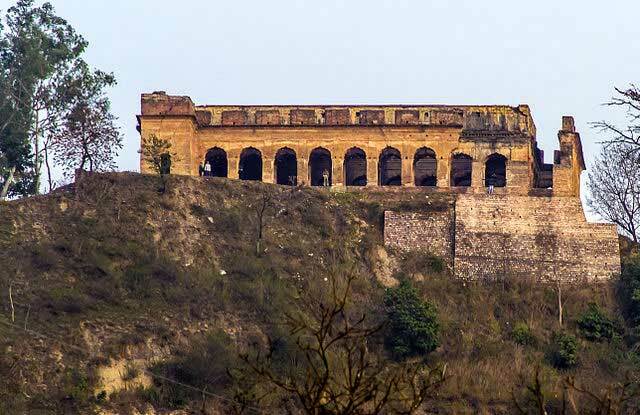 Nadaun was established again by the Katoch rulers of Kangra, when they lost the fort to the Mughal emperor Jahangir. The small town is located by the River Beas and is known for its various recreational facilities like Rafting, trout fishing and camping at the river’s shores. The old palace of the Katoch rulers and the Shiva temple are few of the major attractions in this town. The town served as the temporary capital of the Katoch kings and was developed under their tutelage. The main sources to the towns economy is tourism which is supported by the various trekking, adventure sports and pilgrimage hotspots located around the town. The city of Hamirpur is easily accessible by road and the best way to discover the town is by hiking.